We are in complete agreement with Saba Naqvi Bhaumik (a Shia Muslim married to a Bengali Hindu) that civil marriages will go a long way to help resolve the love-jihad problem....but why not suggest civil marriage for every one? Especially as she (correctly) notes that personal marriage laws "diminish women." As SNB explains there are enough morons (to borrow the language of Ram Gopal Varma) like Raqibul Hasan Khan to bring to life (and keep alive) the "love jehad" theory. Fact remains that Muslim boys/girls will be falling in love with Hindu girls/boys. We imagine that the social barriers today are a bit more tightly drawn around muslim girls, hence the Muslim boy-Hindu girl match is more likely...hence all the poisonous confusion. Among other things, the draft law contemplates a complete ban on the oral, unilateral and triple divorce (talaq) and seeks, instead, use of 'talaak-e-ahsan' method where at least four attempts at reconciliation are made before the divorce is granted. The draft law stipulates that a Muslim marriage should be solemnised only when the bride is at least 18 years old and the groom 21. Further, there should be "an unambiguous consent" by both, and neither of them should have a living spouse. Polygamous marriage should be strictly prohibited and marriages should be compulsorily registered, payment of maintenance to the wife and children must be made mandatory during the marriage, or in the event of separation and divorce, it says. A minimum 'mehr' should be paid to the bride before the marriage and the amount should not be less than the groom's annual income, the draft law says. The BMMA will launch a nation-wide campaign for creating awareness about the need to codify the Muslim Personal Law and make the government act towards it, Soman said. The way we see it is the conversion "problem" is essentially an issue of purity. For example in a Brahmin household, a Muslim daughter-in-law may not be permitted to participate in puja ceremonies. Likewise a Hindu daughter-in-law will create a problem for Muslim households. However that is essentially a problem for the pandits and the maulavis to resolve. Simply issue fatwas that all temples (mosques) is open to people of all faiths, creeds and castes. As we march to the future we have the following three choices: (1) we harmonize in a manner that is considered to be fair by all communities, or (2) we fight and break up (partition) or (3) we fight and the minority groups get assimilated (by the majority). Option II was the easiest one and we have seen two partitions over six decades (both disasters at an epic level). Option III is an even more ugly one (and right now we have something like that taking shape in Pakistan where Hindu girls are abducted in plain view) and the Sangh Parivar will be very happy to work towards this goal. Here we should also mention that the separate but equal approach favored by the left-liberals and secularists did not work in the USA and will not work in India. It is also a repulsive notion. That leaves us with only Option I as the reasonable way forward. As we imagine, conservative muslims dislike civil registration of marriage because it is not the way of the Sharia and more importantly, this is a backdoor way to assimilation (with Hindus). The actuality will be that inter-faith couples will further the cause of communal harmony. We are a great believer in inter-caste marriages as well and for the same reasons. The idea of India is an important one to support (and to strengthen) and we cannot let the extremists win. If there is a historical profile to be used, it would be upper-caste men and/or Muslims who controlled lands and would just pick up and devour women from the lower castes or social strata. It is very likely that following some cross-rel­igious marriages, the woman is pressurised to convert. 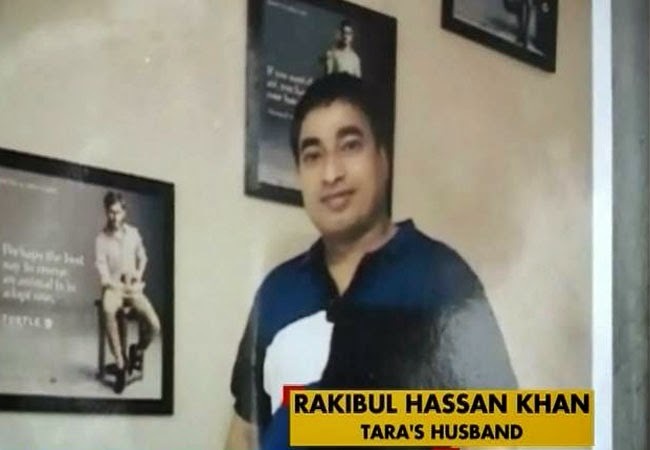 The recent case in Ranchi of national-level shooter Tara Shadeo, who has alleged that she was deceived by one Ranjit Kumar Kohli into marriage, only to discover that his real name was Raqibul Hasan Khan, is a sad individual tale with its own particular details. No responsible organisation in multi-religious India would see it as conclusive evidence of a trend involving over 144 million Indians. More than an insult to men from a particular denomination, the notion of love jehad is at its core an insult to all women, who are seen as nothing more than chattel, led astray sometimes by wicked men with impure thoughts. But they can apparently be made to see the righteous path with the help of the VHP/RSS that has launched a “brotherhood” campaign in western UP where Hindu girls will tie rakhis on Muslim men. In the land of khap panchayats, brother and sister will presumably live in innocent harmony till the families decide it is time for wedlock and child-rearing to keep the caste and community lineage going. Empirical socio-economic data should be collected from areas where love jehad is supposed to have happened and where it has now allegedly spread to. That would be Kerala, the Mangalore coast of Karnataka and now western UP. One can hazard an intelligent guess that in all these regions the Muslim community would be large in numbers, of which there would be a prosperous strata. They would have come up economically and it is also very likely that the more visible signs of this prosperity would be an increase in the numbers of minarets of madrassas and mosques. Still, people do live in the same towns and the chemistry of love and attraction cannot be circumscribed. Girls of one religion will continue to fall in love with boys from another and vice versa. But because the situation in UP is poised so delicately and the potential for trouble so great, here’s a suggestion for the Muslim community: clerics, prominent citizens and elders of the community should advocate a court marriage in the case of mixed couples. As it is, Muslim personal laws diminish women’s rights. If a girl from another community is to enter a Muslim home, a genuine effort should be made to have a more enlightened approach. In the small towns of UP, the community should organise, reflect and come up with a rational strategy. Clerics too must show that they can speak for something beyond defending regressive personal laws and feeding off the fears of a community. The husband of national champion shooter Tara Shahdeo was arrested in a joint operation by Jharkhand and Delhi Police on Tuesday night, sources said. Ranjeet Singh Kohli alias Rakibul Hassan Khan, 30, was arrested from a place near the Delhi-Ghaziabad border. Last week, national rifle shooting gold medallist, Tara Sahdeo, had alleged that she was tortured to change her religion to Islam by a Muslim man who claimed he was a Hindu and married her. In her police complaint, Sahdeo claimed she got married in June this year to a person named Ranjit Kohli. She said the marriage was solemnised as per Hindu rituals. However, during the Islamic holy month of Ramadan, when people invited her husband for Iftar, she came to know that her husband's name was Rakibul Hassan. She allegedly found the name on the invitation cards to the Iftar. She also alleged that Hassan and 20 other people forced her to change her religion. When she refused, she was allegedly beaten up. Sahdeo also alleged that she was threatened with dire consequences if she told anyone about the conversion. 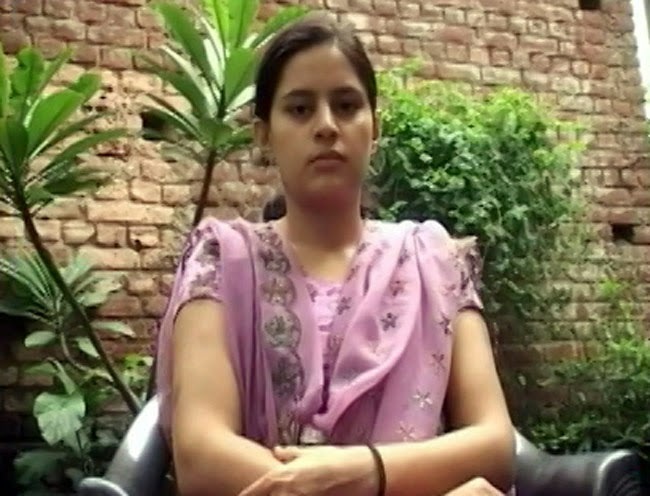 She alleges that she was kept under close vigil but when Hassan went to New Delhi on August 19, she sent a message to her family members and was rescued.